A Clifton man who sexually assaulted a mentally and physically disabled individual in the city on July 12 was brought into custody yesterday, according to the Passaic County Prosecutor’s Office. 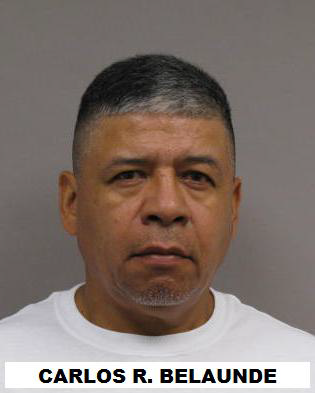 Carlos R. Belaunde was in Paterson on July 12 when he allegedly sexually assaulted a disabled individual. Authorities did not release more information about the individual. Belaunde has been charged with first degree aggravated sexual assault upon a physically and mentally disabled individual, the prosecutor’s office stated on Wednesday afternoon. Belaunde is also being charged with second degree endangering the welfare of a child, criminal sexual contact, and sexual assault of a severely developmentally disabled 20-year-old woman. Belaunde allegedly made sexual contact with the 20-year-old who is the daughter of his girlfriend, authorities said. Detectives from the prosecutor’s office arrested Belaunde after a more than week long investigation into the incident. If convicted on the charges Belaunde could face 20-year in prison for sexual assault and another 25-year for endangering the welfare of a child, sexual assault, criminal sexual contact, authorities said.